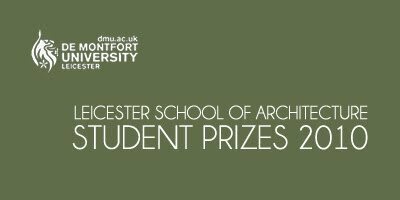 Final year student Christopher Christophi wins an international scholarship to travel to India as a representative of De Montfort University at their International Exhibition in Dehli. 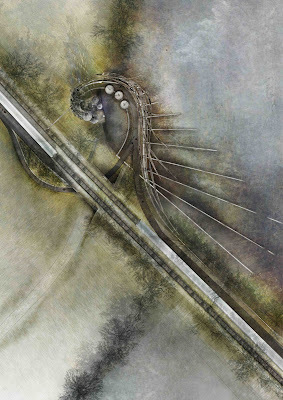 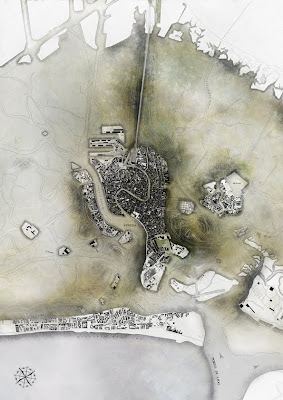 Above: Christopher Christophi's drawing showing the distribution of algae in Venice's Lagoon. 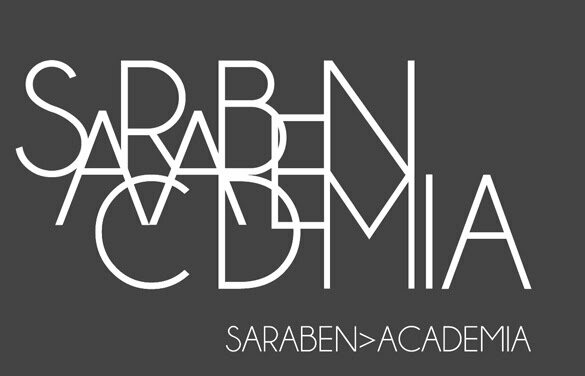 saraben>academia will be exhibiting in Delhi as part of De Montfort University's Faculty of Art + Design international show. James Flynn and Ashley Clayton's project 'The Ethusiasts Folly' was published with Sara Shafiei and Ben Cowd's work in this months Arena Magazine. 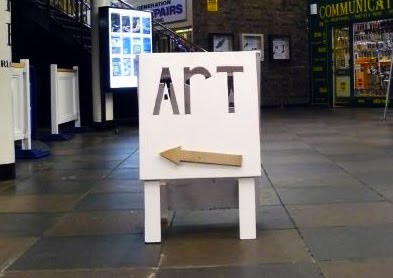 LSA students exhibit models and drawings at a Pop-up Exhibition in the Malcom Arcade Leicester to support Art for Change. 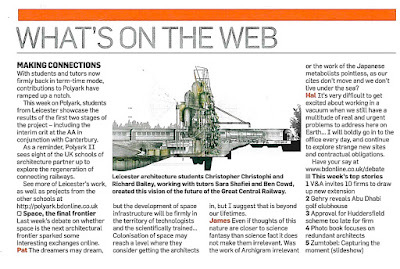 Colin Hall the Lord mayor of Leicester opened the exhibition in the City Centre on 22nd November. 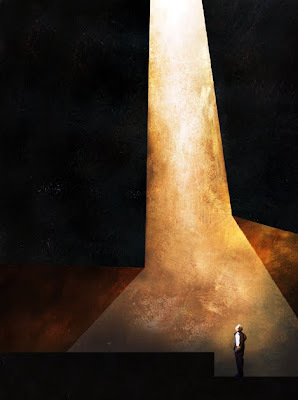 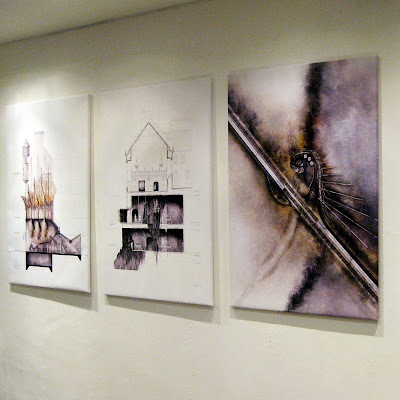 The exhibition will be on show until 22nd December and then travel to other regional venues in the New Year. 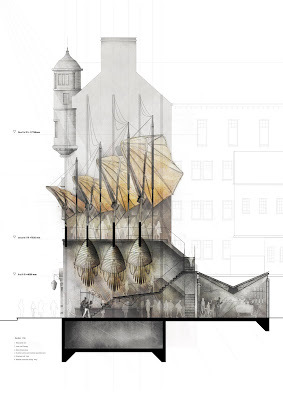 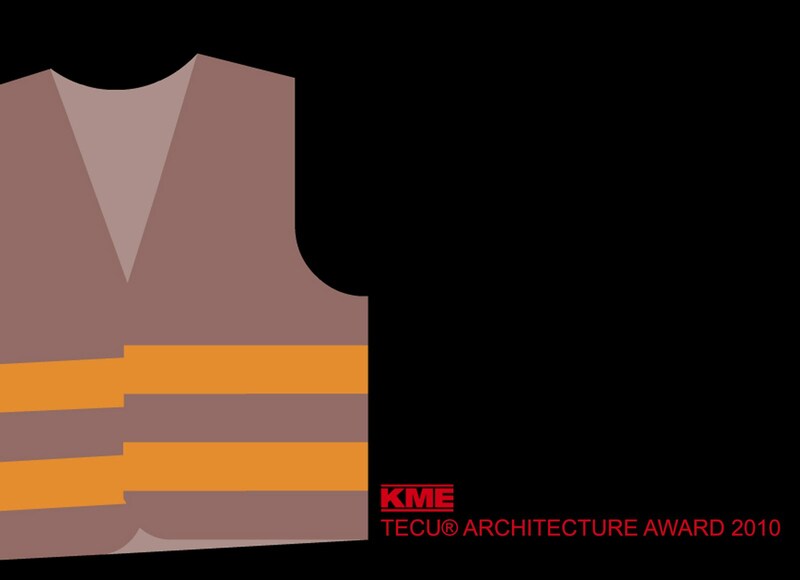 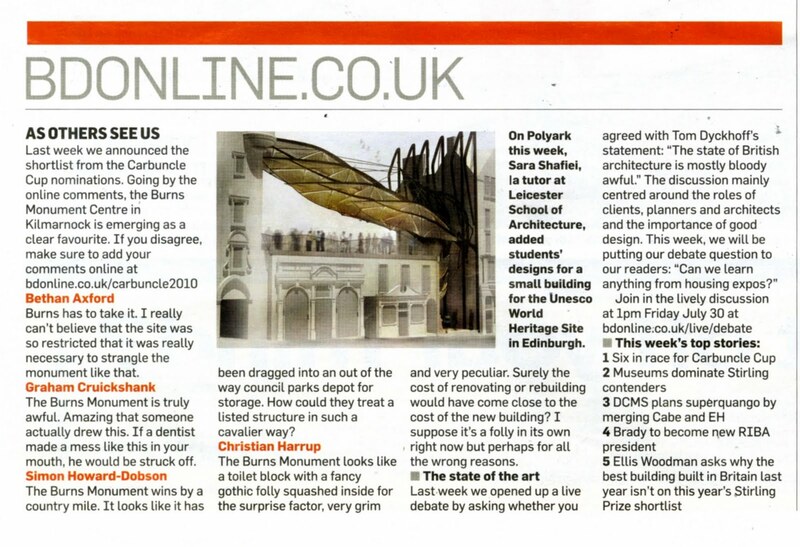 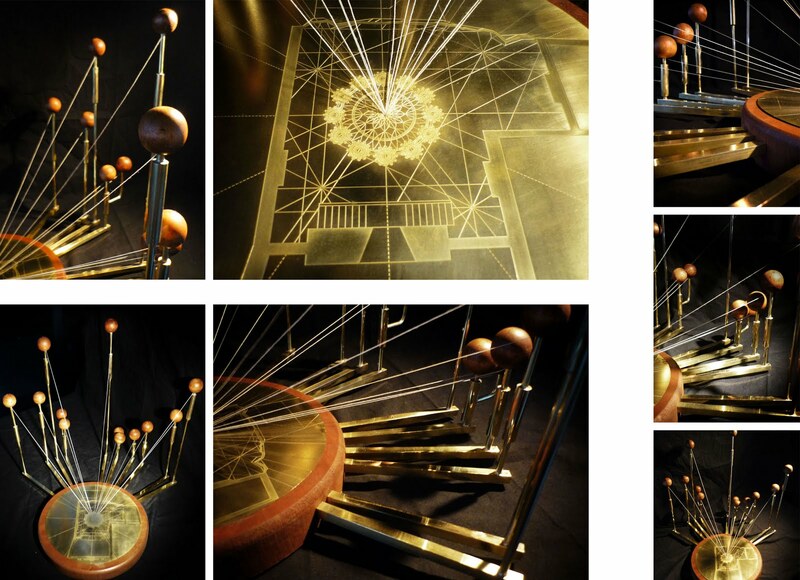 First year Barch student Robert Symonds is awarded first prize in the International TECU competition. The award distinguishes architecturally outstanding built and conceptual projects from around the world and runs every three years. 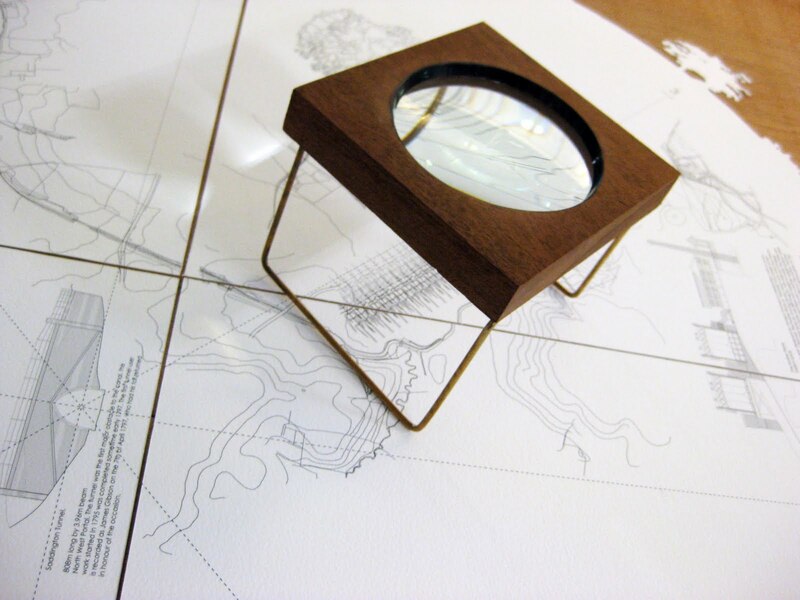 A high ranking international jury evaluated the submitted work. Mapping project final hand in and exhibition. 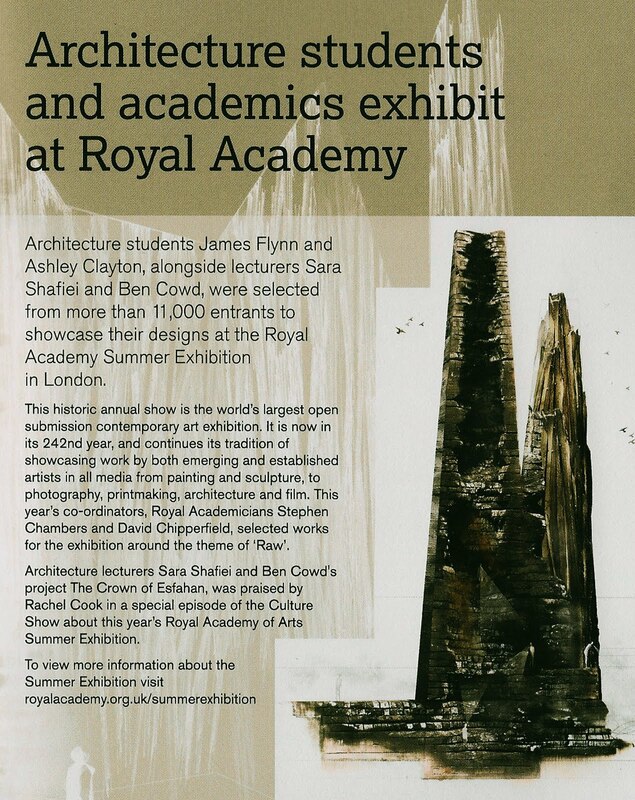 Congratulations to all 1st year Barch students on a great show! 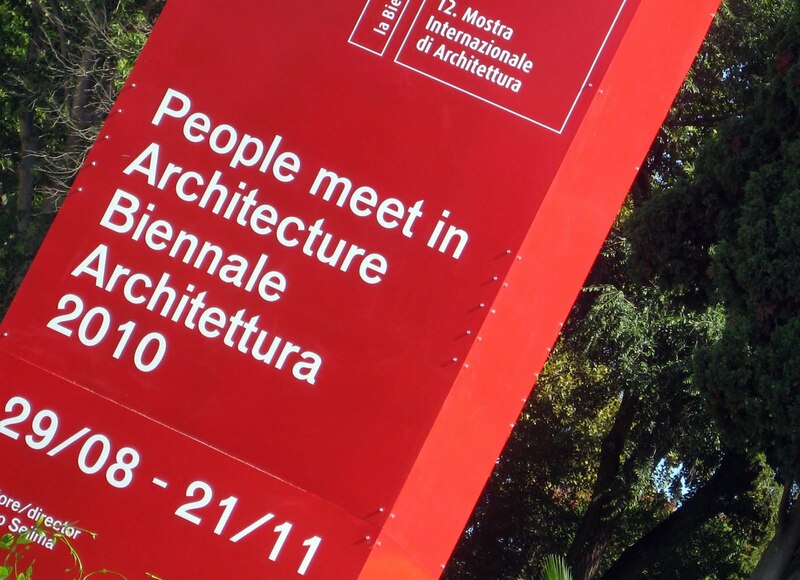 LSA students travel to Pisa, Florence and Venice for their final year projects. 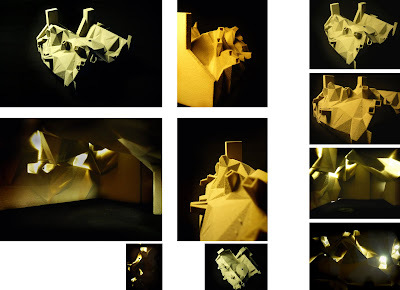 The exhibition showcases workshops conducted by Horhizon members at Leicester School of Architecture, Architectural Association and Royal College of Art. Christopher Christophi's Project: The Inventors Emporium in Edinburgh was featured on the back page of BD magazine. 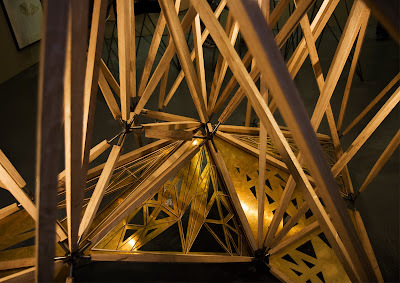 The model stands for the Leicester School of Architecture travelling exhibition was designed and built by LSA students in 3 weeks out of oak, steel and water-jet cut brass. 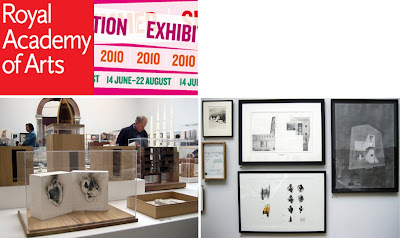 The exhibition stands will be on display at LSA until October 2010. BIG thank you to all the students and staff at DMU who contributed to the exhibition including the Dean Dr Gerard Moran, and Head of School Prof David Dernie and all staff including the workshop. 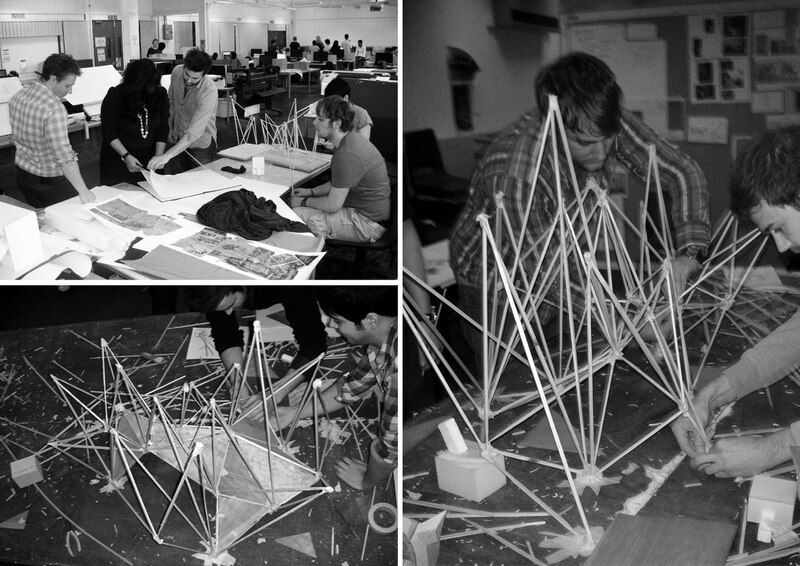 A special thanks to all the students including Alex Taylor, Ashley Clayton, David Monney, Mathew Spencer-Smith, James Flynn, James Watson, Rob Symonds, Adam Grice, Chrysi Fradellou, Peter Greeves, Chris Okoro, Victoria Bennett, Athina Sallam, Alex Russell, Chris Vansittard, Chris Christophi, Richard Bailey, Gianni Simone and Simon Davies for all the hard work and late nights..! 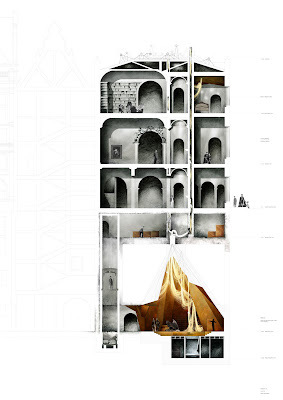 Leicester School of Architecture students Ashley Clayton and james Flynn exhibit their polyark project at the Royal Academy of Arts Summer Exhibition 2010. 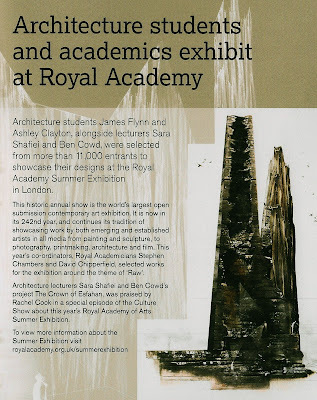 The Royal Academy Summer Exhibition runs untill Sunday 22nd August 2010. 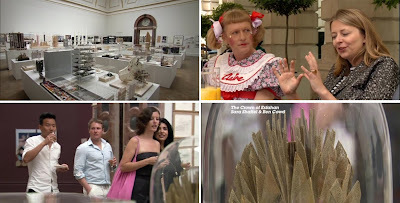 Sara Shafiei and Ben Cowd's project 'The Crown of Esfahan' was praised by Rachel Cook in a special episode of the Culture Show about this years Royal Academy of Arts Summer Exhibition. 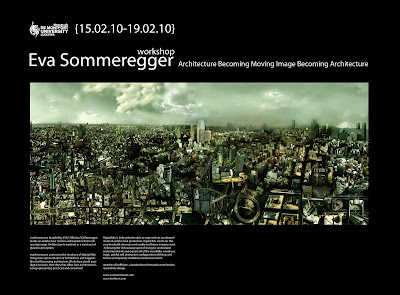 The Summer Exhibition runs untill August 22nd 2010. 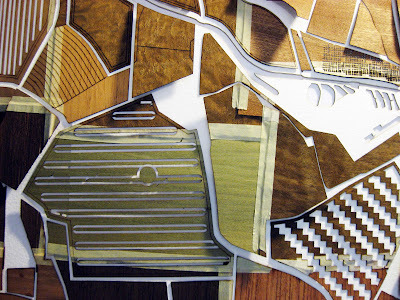 This award is given to a student who has investigated in a design project or thesis with a focus on housing, issues of sustainability, re-definition of the housing type, the notion of 'home', spatial quality within dwelling and it's connection within urban context, and to have offered a critique of current theories and orthodoxies. 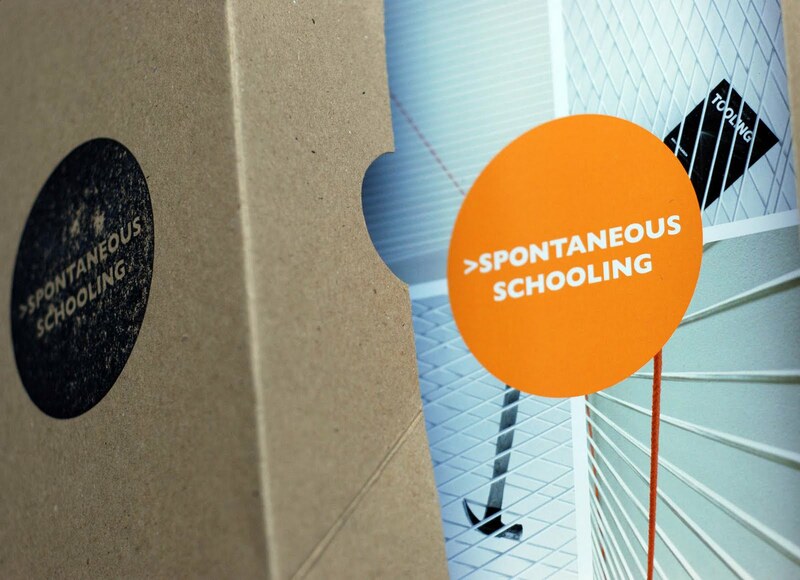 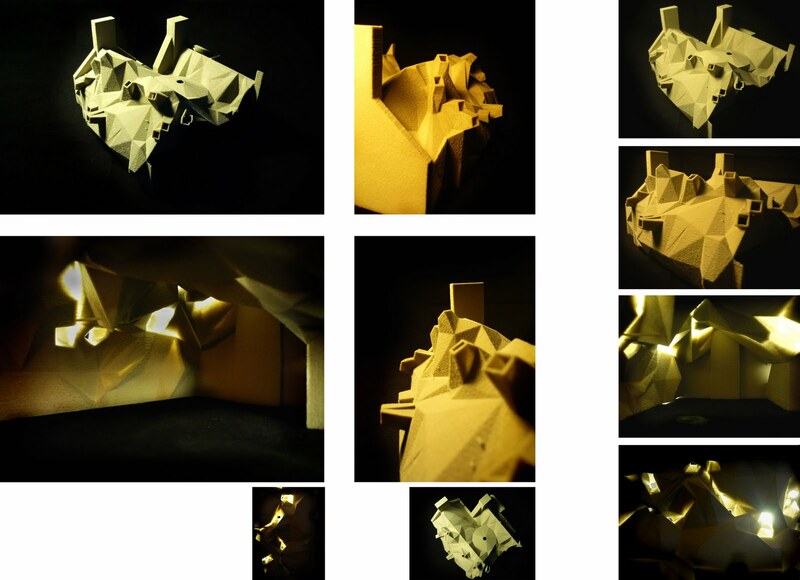 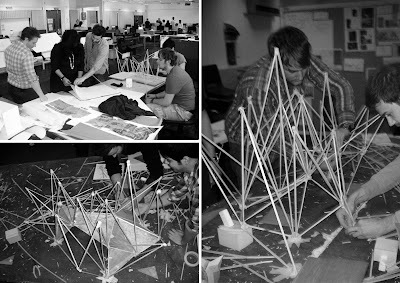 The Leicester School of Architecture Summer Exhibition 2010 opens Friday 18th June and runs until Friday 25th June. 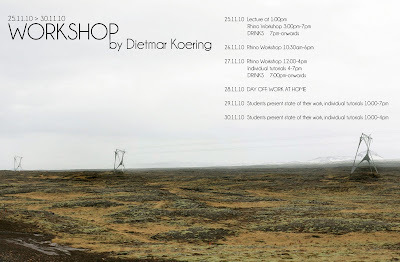 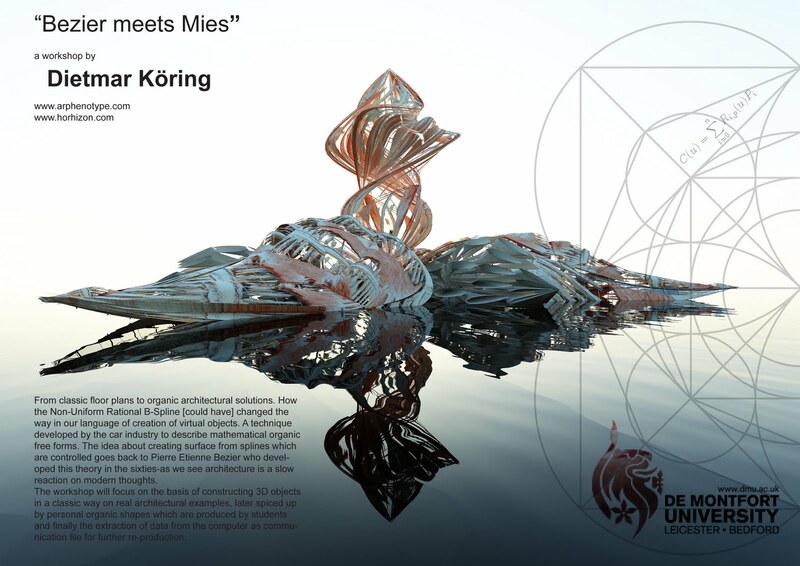 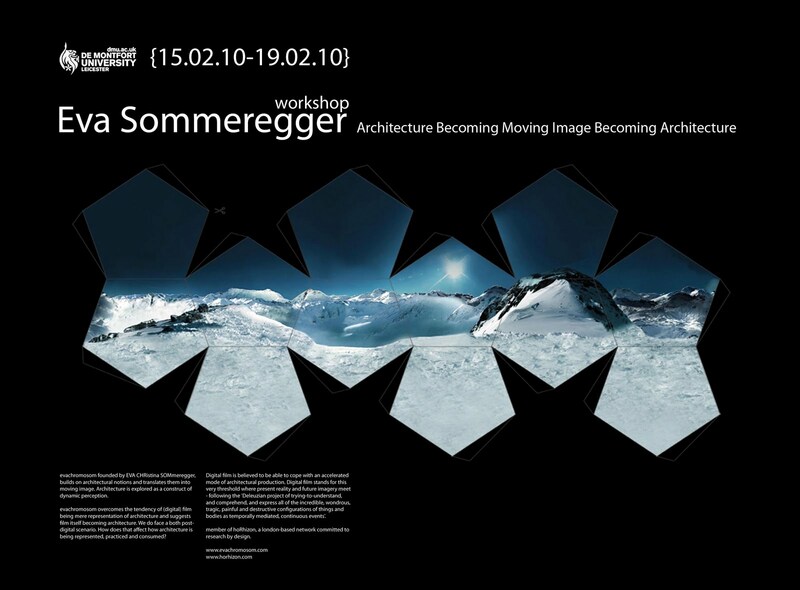 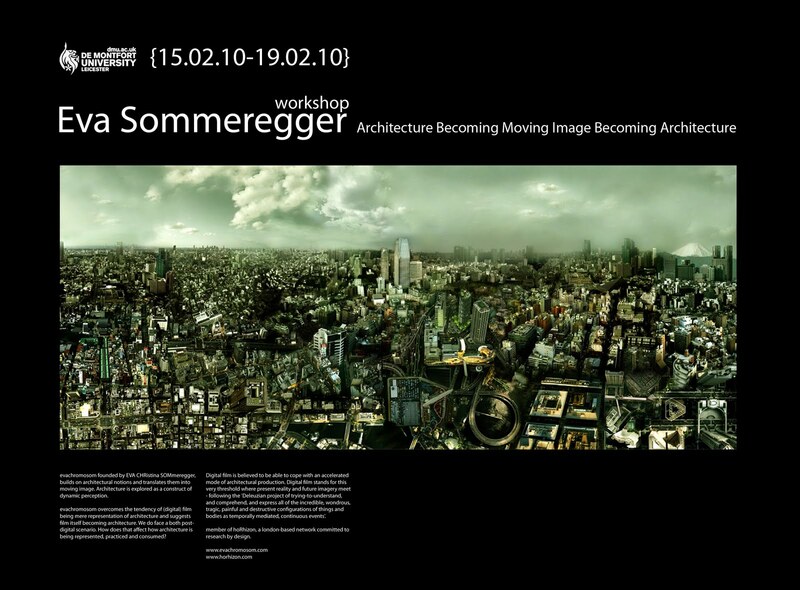 .Horhizon member Dietmar Koering delivers workshop in Rhino and Cinema 4D for the Leicester School of Architecture. .Horhizon member Eva Sommeregger comes to Leicester School of Architecture to give LSA students a workshop in Adobe After Effects.